What a terrific composition, Pranab. 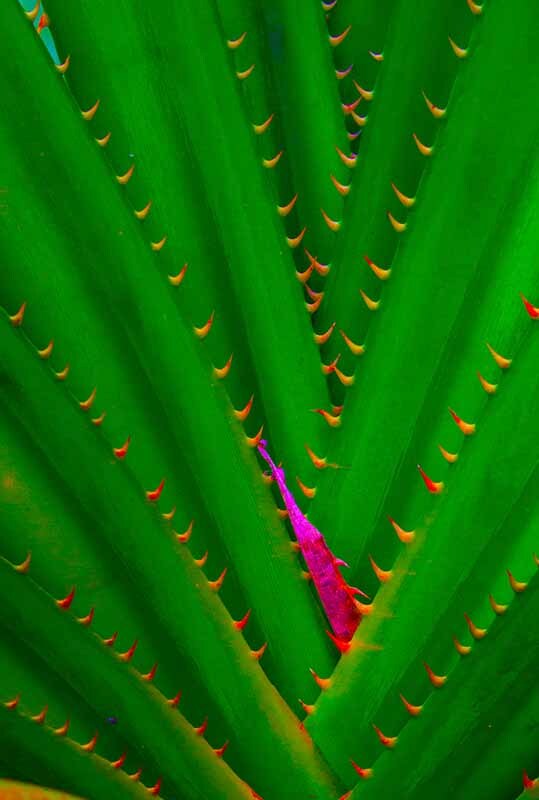 All those converging lines and then a bright accent, along with those bright spikes. Very well done! Well spotted! Great use of strong, sharp, converging diagonal lines and saturated colour for maximum impact, Pranab! The rows of thorns just add to the dramatic effect of the sharp 'blades' and lead the eye to that fallen petal, which could be a splash of blood. A very deep and powerful image. Beautiful, saturated colors, strong composition, a photo well seen.